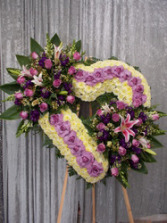 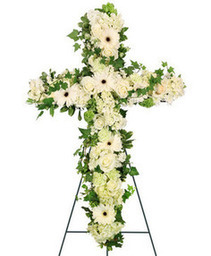 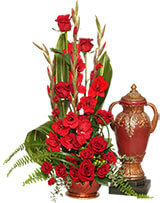 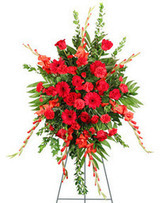 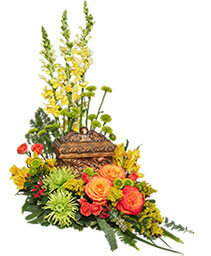 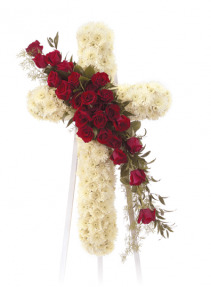 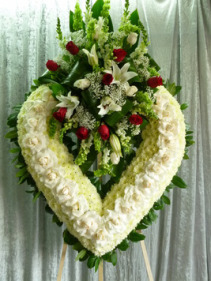 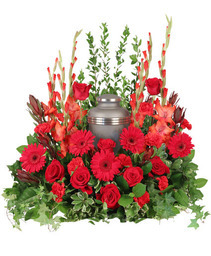 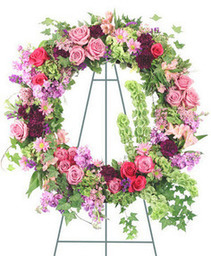 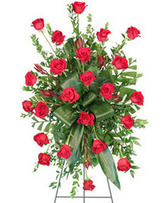 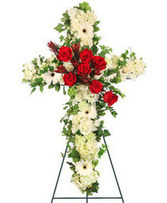 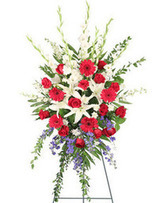 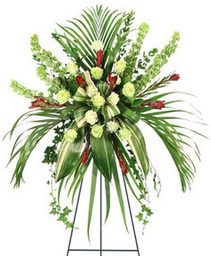 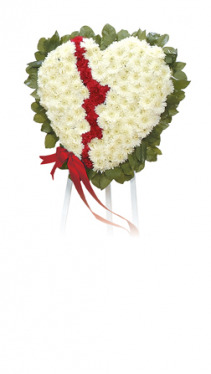 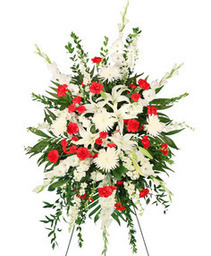 Ease the mourning of the loss of a loved one with the stunning Always In Our Hearts cremation arrangement. 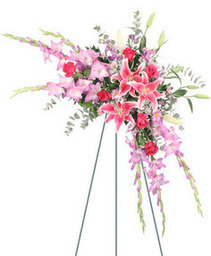 Stargazer lilies, roses, and carnations in vibrant pink tones designed to surround the urn you have chosen for your loved one; perfect for celebrating the brilliant life of a special woman. 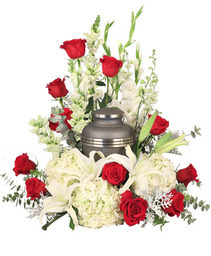 Urn Not Included This order can be Customized to your color palette request. 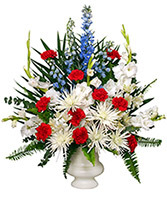 Must call in order to customize! 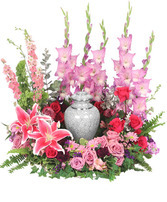 Reminisce and cherish the life of a lost loved one with the Eternal Peace cremation arrangement that encompasses the urn of your choice. 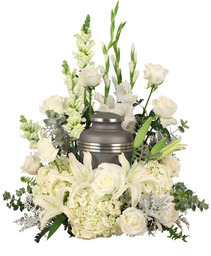 This classy arrangement features heavenly white hues with lavish hydrangeas, lilies, and roses, making it ideal for any memorial service. 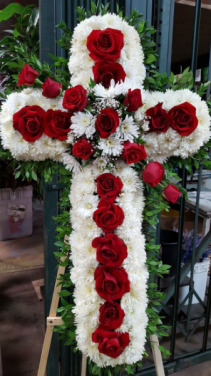 Urn Not Included ** You can customize this order and request your color palette ** Must call in this customized order. 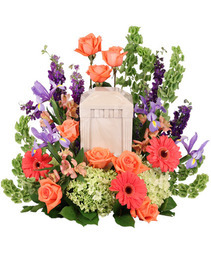 Remember the spirit of a loved one with the Bittersweet Twilight Memorial cremation arrangement, elegantly designed to encompass the urn you and your family have chosen. 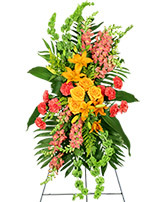 Vibrant peach roses and coral Gerberas highlight the brightness of the spirit while the pale green hydrangeas comfort the heart in this time of sorrow. Urn Not Included ** Customize this order by requesting your color palette ** Must call in this order to request your color palette. 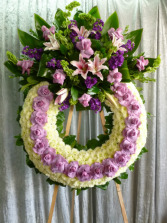 ** Customize this order to your color palette **. 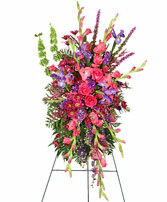 Must call in this order to customize your color palette. ** Customize This Order by requesting your color palette **. Must call in this order to request your color palette.